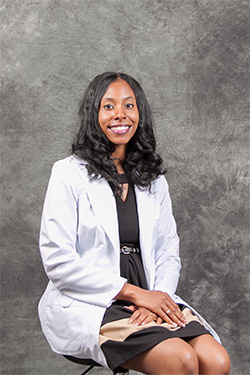 Dr. Flemons received her Doctor of Chiropractic degree from Life University in Marietta, Georgia, and her Bachelor of Science in Biology from the University of Mississippi (Ole Miss). As a chiropractor and biologist, it provided Dr. Flemons the ability to understand the human body as a science both inside and out. Dr. Flemons chose chiropractic during her last year at Ole miss where she attended a seminar based on chiropractic. She decided to shadow a local chiropractor and once she discovered that chiropractic was not just a one field specialty, she was all in. Chiropractic to Dr. Flemons is a multi-specialty in a sense that it can help with an array of conditions such as allergies, sinus problems, ear infections, blood pressure etc. Dr. Flemons commitment is helping all her patients live the wellness lifestyle and maintain it. Dr. Flemons can meet with you to explain in detail how she can help relieve any discomfort you are experiencing. 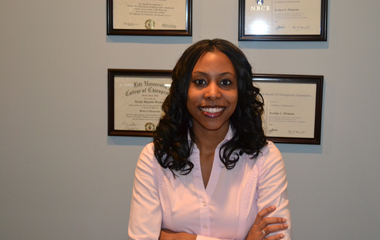 Dr. Flemons is always updating and furthering her education to provide the best and most knowledgeable service. Request an appointment today to see how we can help you can move one step closer to living a healthier and happier life.